Serviced Office Company are proud to celebrate a full decade of providing well-appointed serviced office space in London and Manchester, along with meeting rooms in MediaCity, Salford Quays and our Canary Wharf location on the Isle of Dogs. As we celebrate our ten-year anniversary, it’s a good time to look back on how things have changed around our serviced offices in Manchester and London. 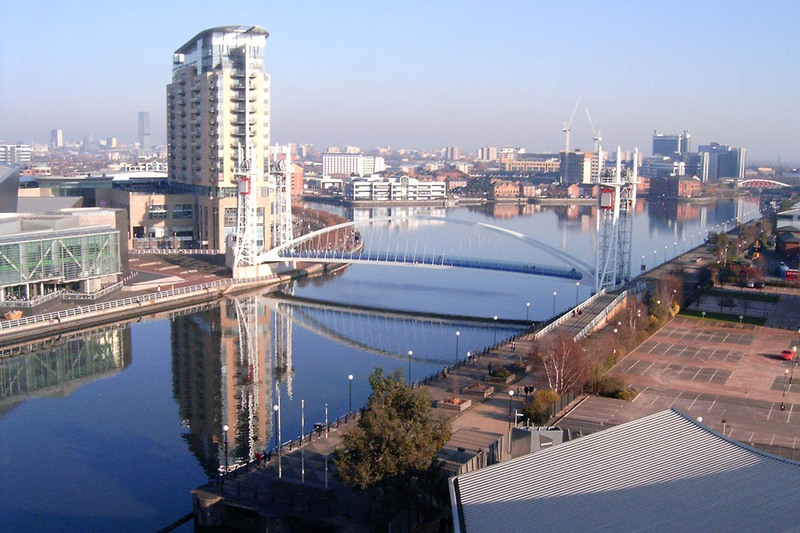 Up north, Exchange Quay – where you’ll find our serviced offices in Salford Quays – has seen quite the transformation. In the summer of 2015, the roads and parking around the Quay were redesigned to make them much more pedestrian-friendly, including the addition of verges, trees and other greenery. The result is a much more welcoming approach whether you arrive by car or on foot – and with the Metrolink just moments away, plenty of people choose that option when travelling via Manchester city centre. Our Clippers Quay location provides our serviced offices, conference facilities and meeting rooms in MediaCity, and while the location itself hasn’t changed too much, MediaCity as a whole continues to go from strength to strength. The BBC officially started filming at MediaCity in early 2011, with ITV following shortly after, and of course this is where you will now find the outdoor set for Coronation Street, having moved from its previous location at Granada Studios in Manchester city centre. MediaCity has been served by its own spur of the Metrolink network since autumn 2010, with links into Manchester city centre and to nearby Cornbrook, where passengers can change services if required. Finally in London, one of the biggest developments during the past decade was the redevelopment of Stratford for the London 2012 Olympic Games. At about three miles north of our serviced offices in Canary Wharf, the Queen Elizabeth Olympic Park is a valuable addition to the local landscape, with the stadium and the ArcelorMittal Orbit both serving as signposts for anyone trying to navigate to our Pepper Street building on the Isle of Dogs. We’re thrilled to be able to continue to offer such desirable locations, with Davenport House delivering not just proximity to Canary Wharf and the Olympic Park, but some timeless views across the River Thames too. Finally, a thank you to our loyal customers and readers of our news posts, which we have published throughout the past ten years. From tips on how to improve your office chair, to keeping your cup of coffee warm for longer, to some of the weirdest ideas for how to hold meetings with colleagues, we’ve brought you insights you just wouldn’t get from anywhere else. As we look to the future, we aim to continue to offer this unique mix of expertise and excellent office spaces, conference facilities and meeting rooms in some of the UK’s most desirable city locations. This past decade has been a true pleasure – and one we hope to see continue for many more years to come, thanks to the support of our hard-working tenants and customers. Comments Off on It’s our ten-year anniversary!